The Alliance for Green Revolution in Africa (AGRA) has concluded plans to partner with the Zambian Ministry of Agriculture and Livestock, and the Common Market for Eastern and Southern Africa (COMESA), to invent strategies that will enable the youth and women engage in profitable agriculture. AGRA and COMESA, NaijaAgroNet gathered, will next month host the African Green Revolution Forum (AGRF) to develop concrete investment plans for driving Africa’s agricultural transformation. The forum, whose theme is “Walking the talk on youth and women, bringing inclusive agricultural markets to life,” is slated for September 29 to October 2, wherein about 300 global and African leaders are expected. 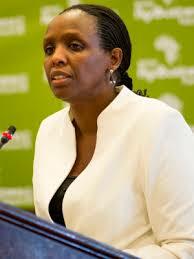 AGRA president Agnes Kalibata at a press briefing recently, NaijaAgroNet reports, said as African economies have continued to experience positive growth, it is important that all stakeholders join forces in scaling up production to give to the livelihoods of the people. “The AGRF partners group is pleased to have Zambia as the venue for this year’s forum. Zambia is a regional agribusiness hub and Government has prioritized agricultural growth over the past few years as witnessed by its heavy investments in developing the sector,” she said. She said for Africa to unlock the wealth that exists in the agriculture sector, governments should ensure that the value chains work for men, women and youth. NaijaAdgroNet learnt that the Minister of Agriculture and Livestock Given Lubinda on her part, said that government will support any programme that seeks to promote the growth of the sector in a sustainable way. “We are ready to partner with AGRA, the AGRF Partners’ Group and other industry players to ensure that the planned forum is a resounding success and that Africa’s agricultural transformation gets the push it needs to witness even more progress for our businesses and farmers,” Lubinda stated.